THREE RIVERS – Chicago native Yoron Israel will preform various styles of music and attempt to convey an array of experiences by radiating positivity, joy, and love during his percussion jazz performance at the Riviera Theatre on Friday, March 23. Israel said growing up in Chicago provided him a “strong foundation,” and offered him the opportunity to explore and experience many styles of music including classical, Brazilian, R&B, funk, and gospel, but he found his passion in Jazz, and now incorporates various genres into his performances. “As a musician it is always a difficult question pinpointing the genre of music I play. I don’t think of things that way. For me, it is all just music and it is music that has influenced me in some way. Music that I have somehow been engaged in and have touched me in some way. So that is what I play and what the audience will hear,” he said. Israel said his performances tend to be an “organic fusion”, such as his hit album “VISIONS – The Music of Stevie Wonder,” with the quartet “High Standards”. “We took repertoire, that is not considered Jazz repertoire, and we adapted it to the performance concepts and language. Especially for those who are not huge Jazz aficionados, it is something they can relate to, they can relate to those melodies, and maybe the memories that some of those songs brought about,” he said. During his performance on March 23, Israel will be performing alongside pianist Kevin Harris and bassist Will Slater as the Yoron Israel Trio “New Dreams”. Together, he said they are committed to making a difference through music, which in turn makes the planet a happier and better place. “Our hope is that we will affect people in a very positive way and make a difference i their day, in their month, in their weeks and in their lives. So that is really at the core of what we do and why we do it. The joy and love that we have for hat we do. I find that it’s an infectious thing for people to actually see,” he said. israel called the trio’s performances a “love affair,” where the trio’s gratitude will emit and attach to the audience like a magnet, with hopes of bringing the audience together as a community. “That is why we do what we do. I think it always should have a purpose. Music is a language of feeling, a language of love, a language of community, so what people will experience hopefully will bring people together as a community,” he said. Israel’s love for music guided him to eventually touring with Sonny Rollins, Horace Silver, Clark Taylor, and other well-known jazz musicians. 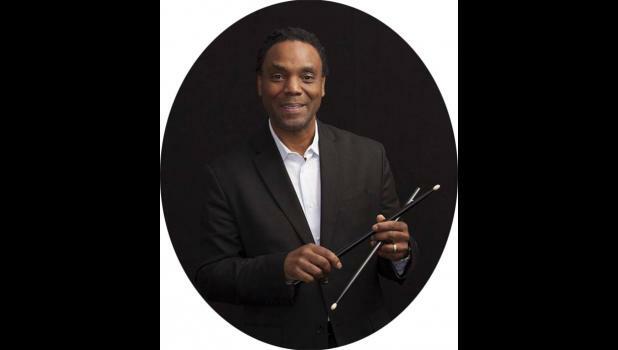 He currently is the assistant chair and professor of percussion at the Berklee College of Music in Boston, and passes down his experiences and wisdom to his students. Yoron Israel will be at the Riviera Theatre on Friday, March 23. Tickets are on sale now and available to purchase online or at the Riviera Theatre box office.